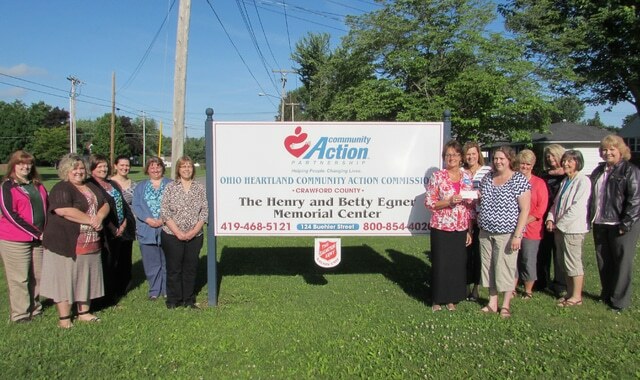 The Crawford Community Council, an organization consisting of leaders from agencies like Avita Health System, CONTACT, Council on Aging, HomeCare Matters and United Way, recently donated to Ohio Heartland Community Action’s Backpack Program. On June 3, the CCC presented a $450 check to Community Action. Tammy Crabtree, Community Action’s office manager, said the Backpack Program serves students at Galion City Schools during the school year. Crawford Community Council is currently looking for more members. Those interested in more information can contact the organization at crawfordcommunitycouncil@gmail.com.